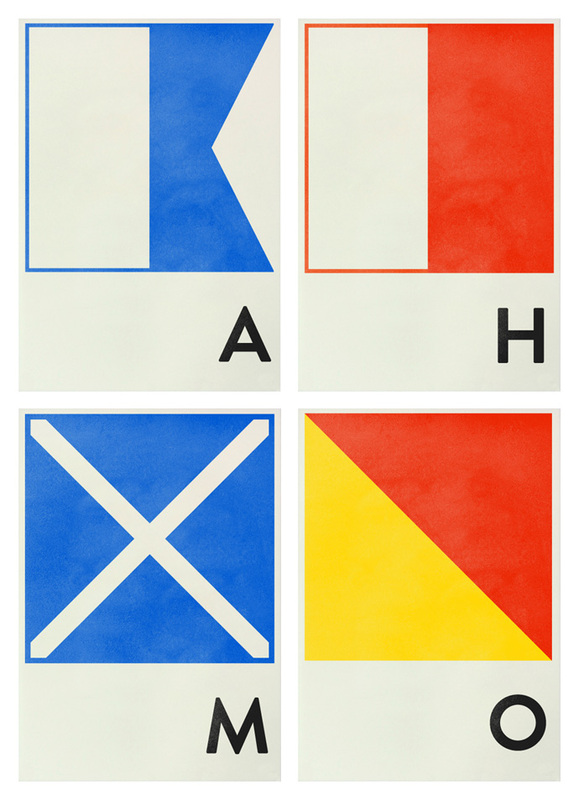 London designer, Hana Tanimura, has created this beautiful set of prints based on the international maritime signal flags. I’ve always loved the minimal and geometric design of the signal system, so it’s great to see them available as high-quality prints. Each flag is a Giclée print on 310gsm Hahnemühle German Etching paper, in an edition of 20, each signed and numbered. The prints are available in A2, A3 and A4 sizes. 4 Comments on "Navy Signal Prints"
These are incredible. How can I order some for me walls? The minimalism is fantastic, absolutely love Hana’s maritime concept.